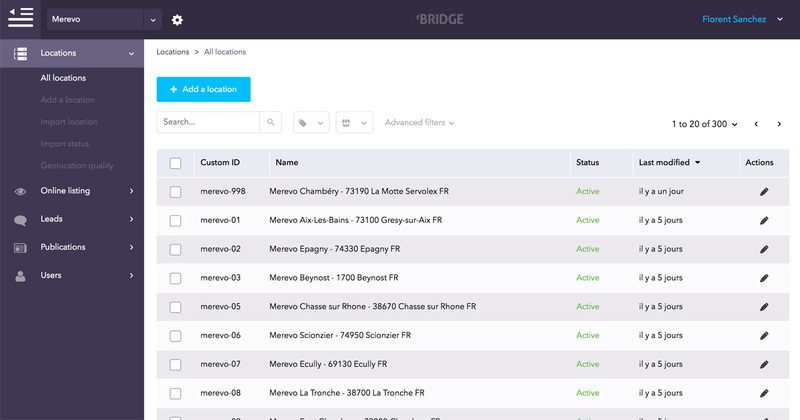 Our API takes the form of a WebServices API, which allows point of sale information to be used in applications external to the Leadformance BRIDGE platform. Below you will find all the resources we place at your disposal to support you in your use of the API. Our API is a fantastic gateway to the information managed in Bridge. It allows you to see the nature of the data and how it can be read/modified, and therefore to develop specific applications on any platform and using any language(http://en.wikipedia.org/wiki/Web_service#Web_API). The API must be integrated by your developers so that it meets your specific requirements. What technical resources are available? 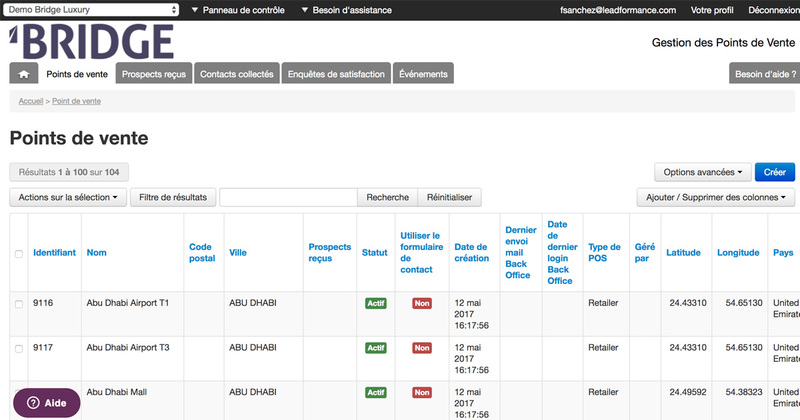 Documentation about the API, which provides you with all the necessary technical information. Contact our support team to gain access to this material. This API offers fantastic possibilities and we are looking forward to seeing the applications you will build around it. Feel free to provide us with any constructive feedback that will allow us to improve it.